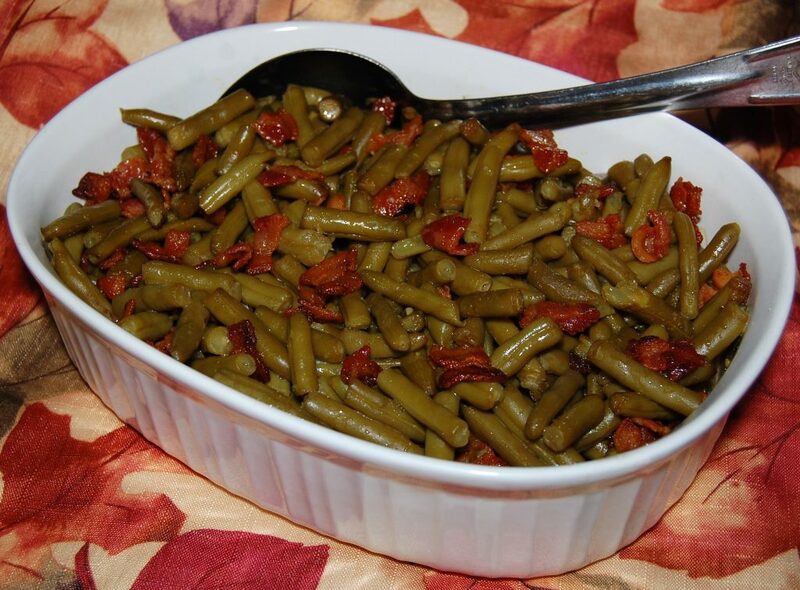 This delicious green bean casserole topped with bacon, butter, brown sugar, and soy sauce is sure to please everyone at your holiday table! 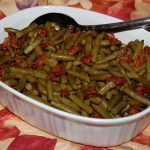 Pour green beans into an ungreased 9x13-inch baking dish. In a large skillet, cook bacon over medium heat until crisp. Remove from skillet, drain on paper towels, and chop. Sprinkle cooked bacon on top of green beans. Whisk together brown sugar, melted butter, soy sauce and garlic powder. Pour over green beans. Bake uncovered for 40 minutes. Enjoy!